Back when I was a starving student and didn't own a tv, I counted on CBC radio to be my television set. I used to listen to Ideas a lot in the evening, which was hosted by the venerable Lister Sinclair, with his posh accent and dulcet tones. He and Peter Gzowsky were largely responsible for fostering my lifelong devotion to CBC radio. Lister Sinclair passed away this morning, at the age of 85. There will never be another like him. I was highly entertained today to read on Tod Maffin's blog that throughout Sinclair's years of hosting Ideas, many listeners were under the assumption that he introduced the show with "I'm Mister Sinclair and this is Ideas". Oddly, I had a friend in grad school who thought the same thing, and she couldn't stand him on account of that misunderstanding. She thought he was putting on airs. I had no idea there were others who heard the same thing, although I don't know if they hated him or not. One of the best bits of good news I have heard this week has been the awarding of the Nobel Peace Prize to Muhammad Yunus, the economics professor who is the founder of the Grameen Bank. The mandate of the Grameen Bank, which Yunus founded 30 years ago, is to provide very small loans to the world's poorest people, without collateral. This concept of microcredit has been heralded as a sustainable method for providing large population groups with the means to break out of the poverty cycle, and has developed into a multi-million dollar microcredit industry, in which the impoverished people it supports become the bank's shareholders. World leaders are now attempting to replicate the success of the Grameen Bank. Heartfelt congratulations to you, Professor Yunus. There have been rumours that people have fainted and vomited at productions of this play and I, for one, could not be more excited. Sounds like going to a reading of a Chuck Palahniuk novel, although I don't imagine there will be plastic human limbs tossed out into the audience. 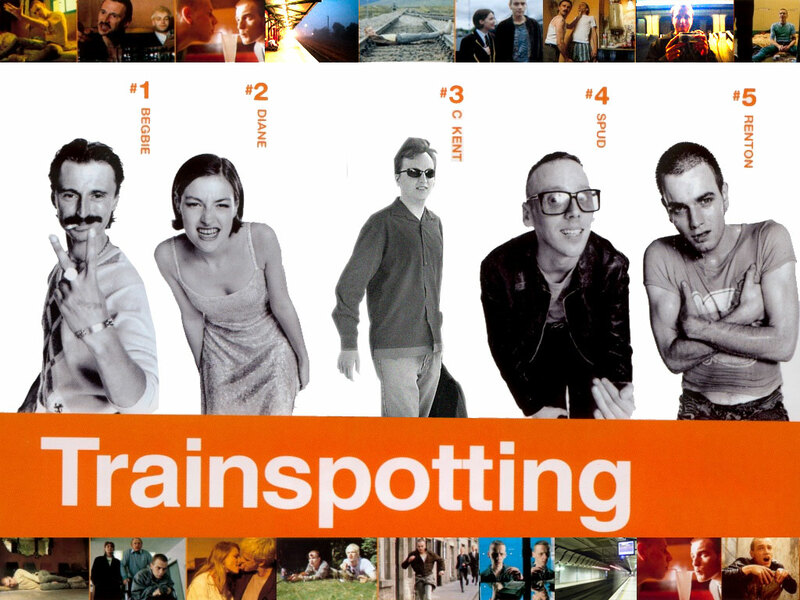 I still think that the film Trainspotting was Ewan MacGregor's finest effort, and I can't wait to see what the Sage Theatre production makes of Irvine Welsh's novel. They did after all produce Drinking in America a couple of seasons ago. I'm watching Newsworld right now and its a special on Sinclair, its really interesting. I remember my parents listening to him. A Trainspotting play? I would love to see that! Its one of my favourite films, the popular 'choose life' speech sits over top my bed. Enjoy! I want to go to the play with youuuuuuu! I bet it will be so great! He really was an icon, Allison. And a really good voice for when radio is the only thing you have. I'm pretty pumped about the play. It's time I start going to more plays again, like I used to. Eva did the "choose life" monologue for drama class last year. Hope on the train and come with us, Mel! Although, my mum claims that one of my first words was "Peter"... as in Peter Gzowsky. She was interviewed by him like a million years ago too. CBC probably had a great influence on my early years. I heard about the vomit-inducing Trainspotting play somewhere. I'm not saying vomit is bad or anything. Like you Barbara, radio meant far more to me in my formative years than TV (because of John Peel). 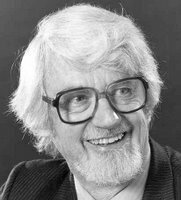 I'm sorry to hear one of your icons has passed, it's sad when a personality and strong presenter leaves us because there's so few interesting characters coming through now. The mark of a great presenter for me, is someone who can draw a polarity in the audience. Well how cool is your mom, Hilary? Being interviewed by Peter Gzowsky. I'd love to hear about that! I can imagine that CBC played a huge role in the formation of your psyche. And that, my friend, is a good thing. I will be sure to report any incidents of vomiting tonight. I guess we all draw the line somewhere, Kelly, about how much realism is still entertainment. Heroin use has never entered into my reality, so it is quite removed from reality for me. But then again neither do drag races and I can happily live without ever see a film about that. To each his/her own. John Peel was certainly one of the greats, Ben, although I never had the chance to hear him myself. Luckily for us in Canada, CBC still seems to foster great personalities and I can think of a few that are in the making to becoming icons now. Yes, and those banks are making a huge poprtion of loans to women because they have been proven to make better use of the cash. I'm so glad to hear that..huge congratulations to Professor Yunus. Very well deserved. I think it would have been awful if bloody Bob Geldof and Bono had won it. Not that they don't do good things but the Nobel Prize? Really? 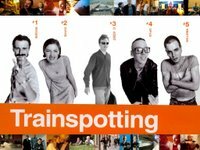 I bet Trainspotting will be awesome, looking forward to review. I can believe that, Leazwell (and welcome back) as women are traditionally responsible for the daily scrimping and penny-pinching. Some of those loans are for only a couple of dollars. Hearing that sort of puts our own finances into perspective, I think. Well said, Kees. Professor Yunus is taking actual meaningful action, not organizing a bunch of rich white folks to sing about how we should all be nice to each other. I mean, that is a laudable sentiment, but does it really change anything or empower anybody? I will fill you in on all the nasty bits of the play. Trainspotting has been turned into a play? Well, I shouldn't be surprised, wasn't LOTR turned into a musical? And it was a really bold and powerful play too, Karen! Details tomorrow. Thank Christ it wasn't a musical though!